In this article, I want to explore why children may crave mealtime distractions, why they are problematic and how to move away from them in a supportive and gentle way. As parents, we want to understand our children's behaviours in order to better support them. There are many, many causes of picky eating, but in this post I focus on one that is not often spoken of; temperament. In this article, I explore reasons why some toddlers struggle with sitting at the table for meals. And I offer two strategies which will help. Look out for my free 'toddler dining chair checklist'! Serving food 'family style' is a great strategy for picky eaters - in this post I explore how it has other benefits for your child besides helping them access a more varied diet. This post explores the challenges of parenting a picky eater when you're not necessarily on the same page as your partner AND what to do about it. Sometimes it really can feel like the end of the road for parents. If you have completely run out of ideas, the strategy I share in this post can be the beginning of your child's journey towards a varied diet. Your child's eating: are you over-invested? Are you emotionally invested in your child's eating? Yes! Of course you are. Because caring deeply about your child's health and well-being is at the heart of being a loving parent. But what happens when you care too much? This EAF principle is all about the importance of your emotional reaction to your child's eating. Why is it important? Well, because your feelings have a profound effect on your child's eating behaviour. Does your parenting style affect your child's eating? "Kids with demanding parents who are rigid about rules, stingy with affection and won't discuss limits are far more likely to be obese than children whose parents practice a more balanced parenting style..."
This called to mind similar research I had read into how parenting style can impact upon picky eating. One study* found that, put simply, the nicer the atmosphere at the table, the less picky the child is likely to be. Another looked at how families interact and concluded that the levels of conflict at the table and how controlling parents were influenced how much children consumed, with higher levels of control leading to an increase in fussiness and food rejection**. I think it's really interesting that the Canadian research pointed to the fact that children who are not used to having the freedom to discuss and question things (and are therefore unlikely to be in the habit of being empowered to make their own decisions) are more likely to be obese. And this is where I would speculate that these different findings converge - when children are not able to eat in a relaxed environment and when parents are trying to control children's eating choices, food starts to get used dysfunctionally. 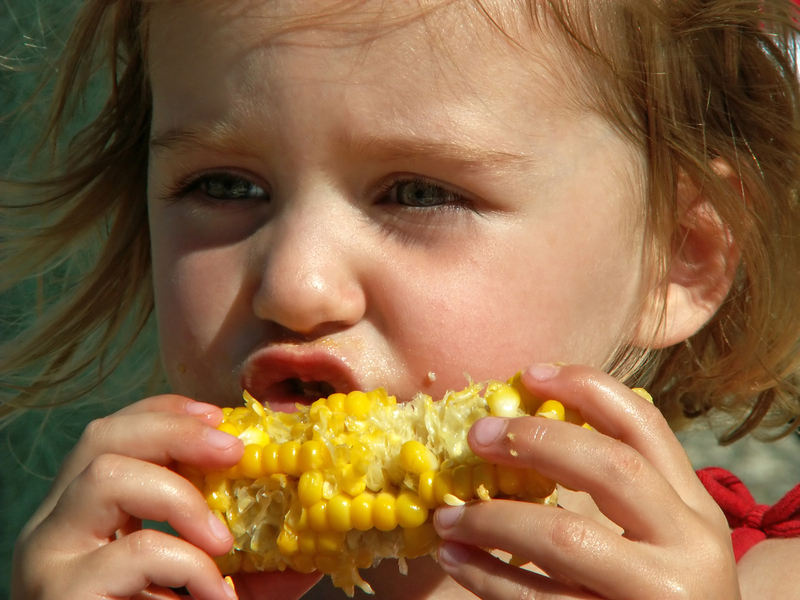 For some children , they may overeat and gain excess weight. For others, they may choose to reject food. It's as though when parents interrupt the child's ability to self-regulate by being excessively controlling, children begin to make choices about what to eat for emotional rather than physiological reasons. Self -regulation is such an important concept to understand when dealing with a picky eater (or a child who is clinically obese) that it merits it's own dedicated post... (it's on my list!) To summarise, self-regulation in relation to eating is the process whereby a child listens to her body's cues (hunger or fullness) and decides to eat or stop eating as appropriate. When a child eats in response to external cues such as feeling sad or wanting to gain a sense of control, healthy self-regulation goes out the window. Think about your parenting style - is it rigid and authoritarian or are you authoritative and keen to develop your child's faculty for independent thought?